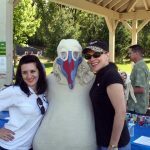 Buddy Booby is VBF’s Official Mascot with a port wine stain on his beak whose message of tolerance, acceptance, and hope has been shared already with families in the following states: AZ, CO, KY, MN, NY, TN, TX, and WA, and even two countries: Canada and Australia. This is an amazing story of a booby bird named Buddy and his birthmark. 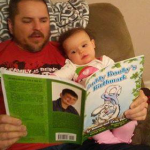 Thousands of children all over the world have read this book and have fallen in love with Buddy. 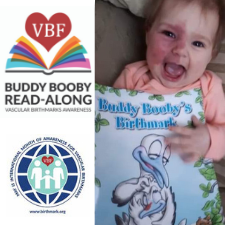 The Buddy Booby’s Birthmark Read-Along campaign and the VBF International Day of Awareness make significant contributions towards worldwide birthmark awareness and acceptance of all differences. 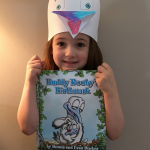 Read more below about how YOU can raise awareness for vascular birthmarks by hosting a Buddy Booby’s Birthmark read along. 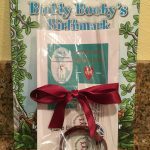 All proceeds from Buddy Booby’s Birthmark books go towards our mission of helping those affected by vascular birthmarks. March Madness is BACK! Get your state on the map in our March Madness: Mad About Buddy Booby Tournament. Our goal is to spread Buddy’s message of tolerance, acceptance and hope. Let’s get all 50 states on the map this year! Has Buddy been to your State? Buddy has already visisted: AZ, CO, KY, MN, NY, TN, TX, and WA, and even two countries: Canada and Australia. These states are not yet on the map: AR, DE, GA, IA, KS, LA, ME, MT, ND, SC, SD, UT, VT, VA, and WV. 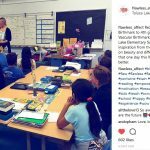 How do we get Buddy to our state? Those in the continental U.S. can make a minimum donation to receive two books, one to read and one to donate. Check our facebook page for Buy1Get1 promotional rates a few times a year. 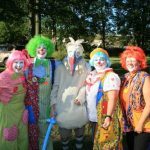 How can I raise awareness with Buddy? 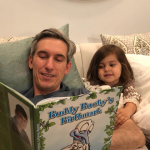 Host a read along in your child’s classroom, share the book with a friend or physician, and post a photo or video reading the book #IReadBuddy. You can also email read along photos or videos to info@birthmark.org. *NOTE: This offer is limited to the continental United States due to the prohibitively high cost of international shipping. With every order, you will receive an extra book to donate as part of our Read it: Donate it Campaign. For our MARCH MADNESS SALE this year, we’re offering VBF Vascular Birthmark Awareness Kits for only $25! Claim yours today at the link below. 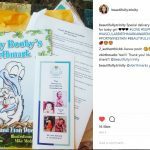 Physicians, nurses, medical providers and others are invited to make a donation to VBF for a free supply of Buddy Booby’s Birthmark books. Medical providers can give them away to children with birthmarks, or just leave them in their waiting room for children to read. 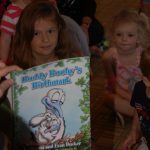 Those hosting a read along event may also order bulk books so that each child may take one home to keep. 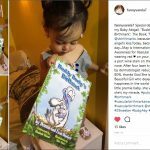 For a donation of $100, we will send you 5 soft cover books; for a donation of $200, we will send you 5 soft cover and 5 hard cover books; and, for a donation of $500, we will send you 15 soft cover and 15 hard cover books. To take advantage of this deal on bulk books, please contact info@birthmark.org. 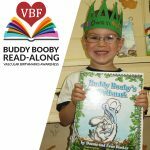 The first Buddy Booby’s Birthmark Read-Along was launched during the 2006 VBF International Day of Awareness. 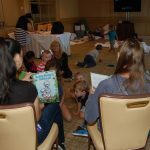 The Read-Along traditionally takes place in May every year, but the book can be celebrated as an awareness event any day throughout the year. 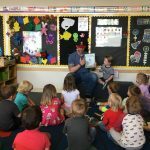 The book has been read aloud in hundreds of classrooms, as well as libraries, bookstores, story times, club meetings, and children’s hospitals. 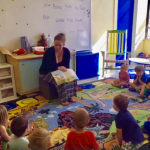 Parents and doctors often donate copies of the book to local organizations. 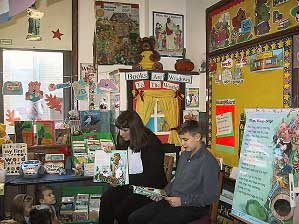 Mother and son authors Donna and Evan Ducker wrote Buddy Booby’s Birthmark in 2006. 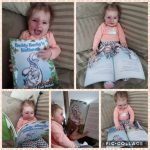 Evan was born with a facial port wine birthmark, and was inspired to write the story when he was unable to find a book that addressed the issues facing children with birthmarks. He has a great interest in animals and chose the red-footed booby bird of the Galapagos Islands as the main character. 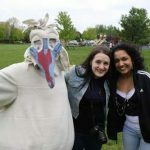 Buddy was born with a birthmark on his beak, and the story is based on their personal experiences.